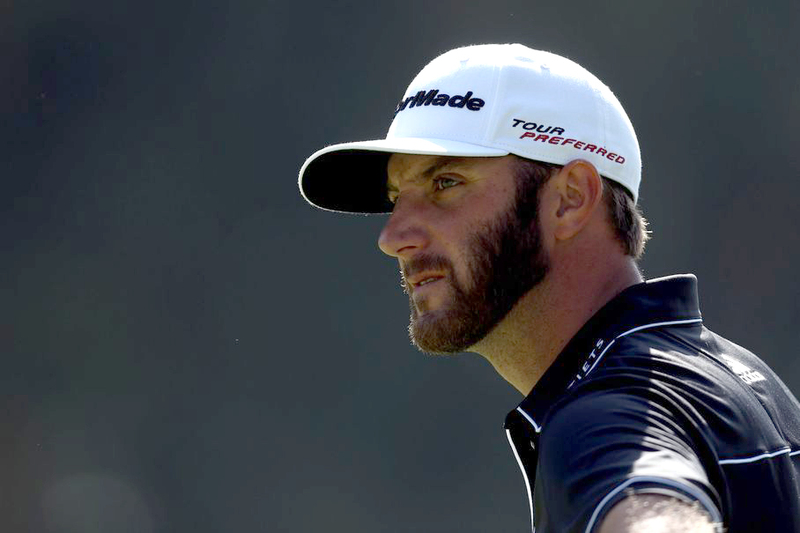 Since claiming that DJ is going to have the best year in 2017 isn’t exactly hard hitting predictions (Rory lovers might disagree), I’m actually going to go on a semi-tangent here about the importance of length in modern golf. Length is analogous to height in basketball. As soon as money came into the NBA, taller players rose to the top. It is now at a point where, unless you have some super special talent, such as Stephen Curry’s shooting, you’re going to have to be tall to ball. Luckily however, unlike height in the NBA, you can be short and still have the length you need to compete on the modern PGA Tour. DJ is 6’4″, Bubba is 6’3″, Tony Finau is also 6’4″, but we also have JB Holmes at 5’11”, and Rory at 5’9″. So where uncontrollable genetics plays the part in basketball, you can hit the ball far without needing tall parents. And you can definitely play golf and not average 300 yards off the tee (only 27 players hit that 3 bill mark last year). Different golf courses and conditions can emphasize different parts of the game. Zach Johnson (averaged 280 off the tee in 2016) won the 2007 Masters when the cold and wet conditions forced most players to lay up on par 5s somewhat neutralizing length and turning the tournament into wedge tournament, in which ZJ was the best damn wedge player in the world. (At Timacuan, where ZJ would practice and take lessons, they have this sweet wedge range with cement squares at varying yardages and you can nail how far you hit each shot). More notably, Jordan Spieth, who averages 295 off the tee, wins despite his non-elite length, by making every putt he looks at. Distance is quantifiably important too. On tour, every yard further you hit the ball off the tee equates to 0.0182 strokes off your scoring average. So if we bumped ZJ up from 280 to 300 yards on average, he’d take off (assuming the linear regression I used to calculate those numbers is correct obviously) 0.364 strokes off his average. So yeah, that’s a huge amount. If you view length and short game prowess as a tradeoff (which for the most part is the case, because if you had both skills, you’d dominate *cough* Tiger *cough*), I’d take length because length doesn’t require constant practice to stay on top. You need to practice constantly to have one of the best short games in the world, but length is just there. Don’t confuse these words though, to be on Tour, you need to chip and putt too. US Open at Erin Hills Will Be … ? There’s nothing like watching professional golf at a course that you know and’ve played. But I’m worried here. We all remember the frustration by the players two years ago at Chambers Bay, exemplified by Billy Horschel. When the US Open is at some place like Winged Foot, Olympic Club, or Oakmont, two things happen: first, the USGA knows how to set up the course for 4 great rounds of golf, and second, nobody’s going to complain no matter what because who’s going to complain about a course that old and prestigious? That second point isn’t exactly true, but you get the idea. In this case, we’re lucky that it has bent grass greens so the USGA can tune the receptiveness to their liking just by adding water when they feel like it. At Chambers Bay, that poa annua grass was going to be bumpy, much to the displeasure of one Billy Horschel, and just wasn’t going to hold approach shots no matter what. Sure, the USGA likes hard greens to a point, but at least this time they’ll be able to water greens to soften them up if they become “unfair” according to whoever defines that. See Shinnecock 2004, 7th green. As for the course, I’m a well known sourpuss on the subject. I’ve been able to play it enough times over the years in various conditions, both random rounds, as well as competitions, starting back in 2007 with a pub links qualifier (qualified), the 2011 US Am (missed the cut by a few, but played alright at Erin), and the 2014 Wisconsin State Amateur (where I was garbage). I won’t go into the not great parts of the course, but I will mention a few great holes, with a more in depth look coming with the preview in June. Hole 10 is a great redesign with a new green complex. Also, I really like the 5th hole, where, if you can hit it far enough off the tee, you’ll get a huge bounce to the green on a 500 yard hole. And as I say, my one big determinant of if a course is great or not is if you can go through the course and remember every hole after the round, and Erin Hills certainly qualifies. So we’ll have to see! Also shoutout to my mom who’s working the range at Erin Hills during this year’s US Open. In honor of the US Open being only a week away, here’s a peek at next year’s course, Erin Hills. The short 15th hole give a few options, but really you just gotta avoid the bunkers and you should be fine. Taken a few days ago by GOTM subscriber and contributor @patsteffes. Speaking of Rickie, what one of the big questions of the 2017 season is how Mr. Fowler is going to play. Back in 2015, he didn’t finish worse than 4th in the majors and validated by winning the Players as well with that ridiculous closing stretch of -6 in his last 6 holes that forced his mom and girlfriend to come back from the airport to watch him take the trophy home. All of that prompted me to pick him above Rory in the GOTM fantasy draft last year, only to watch him have one second place finish and 8 top tens in 2016. Oh, and he also needed to be a captains pick in the Ryder Cup. Rickie’s been a great player forever, all the way back to AJGA junior days, college at Oklahoma State. But will rickie turn into the top player it seems like he should be? He needs the wins, and 2017 will be the year to see if that happens. He seems to have the desire, and definitely has the talent, but he’s gotta win, and frankly, win more than once. 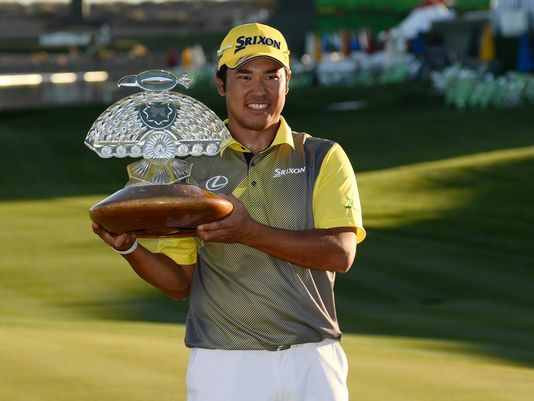 Oh, and he collapsed and let Hideki win the Wast Management Phoenix Open early last season in a playoff that left nobody watching because the Super Bowl had started. In a fantastic move, the Zurich Classic of New Orleans will be contested as a bestball event starting in 2017. This move take the tournament from one of the least well attended tournaments by top players (unless they’re sponsored by Zurich or from the Louisiana area), to an only slightly better attend tournament, but one that fans will now want to watch! It’ll also become the second tournament besides the Reno-Tahoe Open, which features a version of the Stableford scoring system, and the WGA Match Play, that isn’t pure solo stroke play. I mean, with teams of Jason Day and Rickie Fowler, Justin Rose and Henrik Stenson, we’re at least gonna have a few power teams! I’m also super interested to see which of the lower profile teams performs well. We’ve all played best ball at some point, and it’s not necessarily who’s the better players if they’re birdying and bogeying the same holes. It’s making sure the neither player has a bad hole when the other does. Either way, this is the sort of fun that the PGA Tour needs, especially at Zurich. On that point, I’m really hoping that the PGA Tour moves in a more “fun” direction with how they move into the future. I think they realize the importance of social-ness and online presence which is expected and required for the future golfers in the US, but still, it seems like there can be more growth in that area. The European Tour is nailing it with their promotions like their mannequin challenge video, or their fastest hole of golf video as well. Adding a team element to a sanctioned event here pushes that to a whole new level. Golf needs to be fun! The USGA has been pushing the play 9 initiative, various goals involving terrible catch phrase of “while we’re young” of making pace of play quicker, but this sort of stuff is tough to balance. When so much money is on the line, how can you not expect players to take their sweet time over a shot coming down the stretch? And kids at home mimic what they see on TV to a ridiculous extent. Hell, I’m sure I gained even some of my current tendencies from watching the Tour. And when every tournament is individual stroke play, and the handicapping system that many / most golfers use, they’re going to want to play using that same individual format. Hopefully more events like a best ball here can make a shift away from the dominance of stroke play, and make non-standard golf reasonable. Oh, and can I get a 57 watch? Not everyone can get a section for themselves, so I’ll give some quick hits on the status of all the top players and what they’re looking for in 2017. Rory — Masters, it’s all about the Masters. Luckily it’s early in the season so us fans don’t have to wait long to see if he can overcome that one last major hurdle. And remember his “lackluster” 2016? He won the FedEx Cup with that playoff against Ryan Moore, where he was in complete control. And along with DJ, Rory’s the most fun to watch and root for, because he can hit these shots nobody else can. Like this three wood to close out the Irish Open last year. Also, while I was trying to find that video by searching “rory mcilroy three wood”, half of the videos were of great three wood shots, and the other half were of him breaking a three wood. Gotta love him for showing some emotion out there. Phil — Sorry Phil, you old, and it’s tough for you to win again, besides something like a British Open where it’s more about knowing what you’re doing around a course (see last year’s almost win, and 2014s win), unlike something US Open style where it’s about not hitting super wild shots that cost a bunch, which Phil has always had a tendency of doing. Bubba — Neon balls, and an attitude of not wanting to play well if he doesn’t like the course. I’m guessing worse season than his meh 2016. Gotta rank him high on that pure talent scale though, so if he does change that attitude, he can win some again. Jason Day — Holy crap, I almost forgot he’s still ranked number 1 in the world. Probably the most under the radar number 1 player in the world we’ve had since Tiger vacated that spot. He’s so interesting to watch because his swing is so solid technically, it doesn’t seem like he should ever hit a bad shot, but he never seems to show the “will” or “desire” to win that other players get. Like he’ll never have that one shot in a tournament that defines it like a Phil iron through the trees to a few feet on the back nine at Augusta, or a Tiger chip in on 16 at Augusta. That’s cause he never hits a bad shot in the first place that allows him to hit a great comebacker. Besides that, there’s nothing really to talk about Jason, other than he’s probably going to have another solid year with a few wins. Because he’s always solid. Jordan Spieth — A lackluster 2016, where he still won twice, Spieth comes into the 2017 season looking for more, meaning another major win. When he plays well it’s because he makes every putt, and that happens pretty frequently. But it’s funny to see other player’s opinions of him, like this one from a Ryder Cup preview article where the undercover pros talk about how they don’t know if he can sustain play like he had in 2015 for a long period of time. Check out the Spieth section, and frankly all of the players — that’s the most interesting article I found all year. Shoutout to JB Holmes for being the worst lag putter ever! What, you think I forgot about him? I was just saving the best for last. 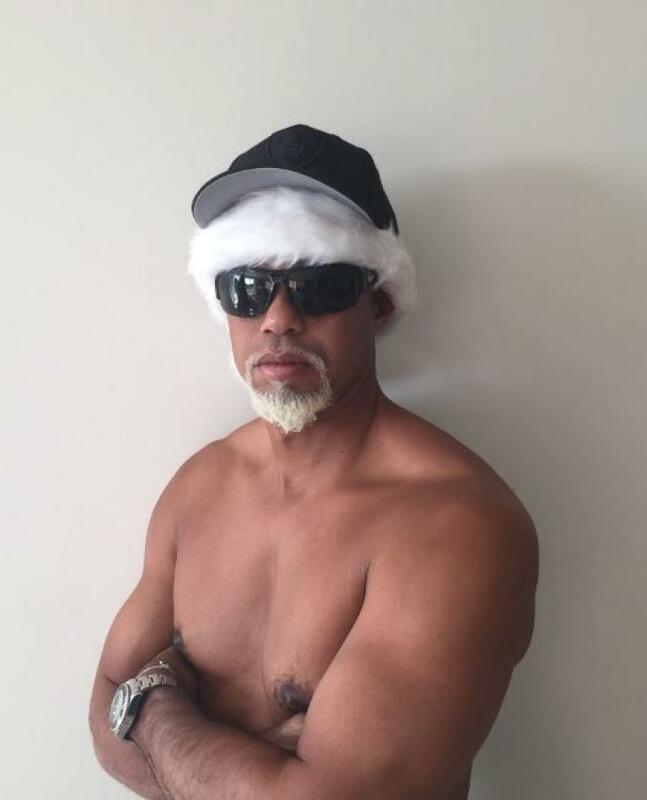 I didn’t actually realize this was Tiger the first time I saw this pic. I’m ashamed. Here’s my prediction, Tiger makes two cuts at the majors. Probably the Masters, because it’s the weakest field, and he knows that damn course like his doctor knows the inside of his left knee. No chance of making the cut at the US Open, where one bad shot means a double with Erin Hill’s thick and tall fescue rough. Though actually, And the PGA Championship, at Quail Hollow, is probably the best major for current golf. Sure it’s not a bold prediction, like you’ll see from other 2017 prediction articles. If you search “2017 PGA Tour predictions” on google, nearly half of them will say Tiger will win on Tour. Sure, that gets my blood flowing, and I really really want to believe. I’m freaking sitting here getting goosebumps thinking about watching Tiger drop a putt on the 72nd hole to win. Almost got teary eyed too. Almost. But I can’t legitimately go saying he’s going to after seeing him play ok at best in one event. Also, his swing is also so funky with how upright he’s standing at the end! Look at that video below! I’m assuming that’s a way to counter his back issues, but man I miss his old swings. They looked so pretty. Now I default to watching Rory’s swing, which is good, but no Tiger. And also as shown at the HWC, he’s right back into the mode of striping it, and then having the one swing that costs him multiple shots. A good player’s misses are playable, and right now, Tiger isn’t that kind of player. I watch him play with that sinking feeling that there’ll be a swing coming at some point that’s gonna go 50 yards right or something, and suddenly, triple, and out of contention (assuming he can get in contention at some point). This new Tiger is like having Brett Favre as your quarterback — He’s gonna be great for the most part, and then interception that ruins it. Old Tiger was Aaron Rodgers, where you know he’s not going to throw it to the other team. Keep that ball safe Tiger! And with that, happy 2017 from GOTM! Jason Day has been ranked #1 in OWGR three different times in his career. Okay, yes, maybe a little under the radar due to how close he is to McIlroy and DJ and fact he hasn’t played since Tour Championship. Here’s a few under the radar former no. 1’s to consider as well: Martin Kaymer. Even Lee Westwood (try reading his name and not thinking of his putting performance at Ryder Cup). Adam Scott – did you even know he was once best player in world. I won’t even mention Tom Lehman and his one week stint. Welcome back! So happy to see the GOTM arrive in the inbox. Really enjoy readying these, and missed it during the break. Best wishes in the new year, for health, happiness and great golf!